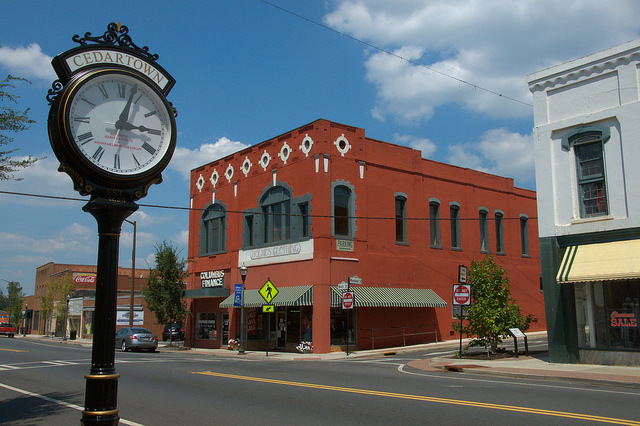 Cedartown is the county seat of Polk County and derives its name for Fort Cedar Town (after nearby Cedar Creek), a stockade built during the 1830s as an internment camp for Native Americans on the Trail of Tears. 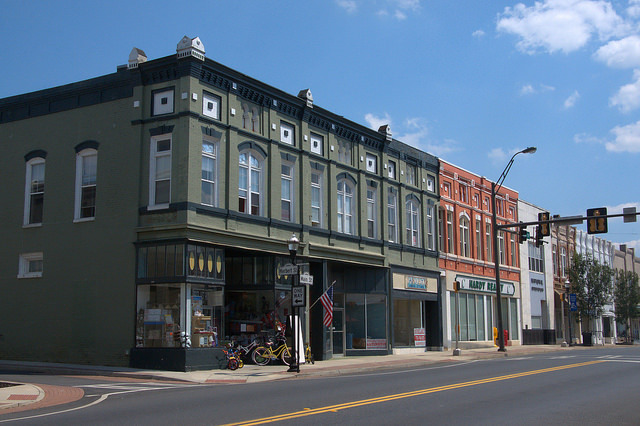 Much of its historic downtown remains today and there are four National Register Historic Districts throughout the city. 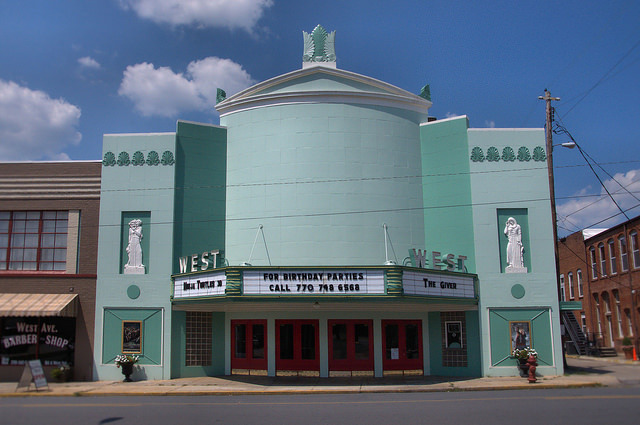 I’ve seen many Georgia theatres in my travels and even had the opportunity to photograph some for the Fox Theatre Institute a couple of years ago, but this is one of the most unique and fascinating I’ve yet encountered. 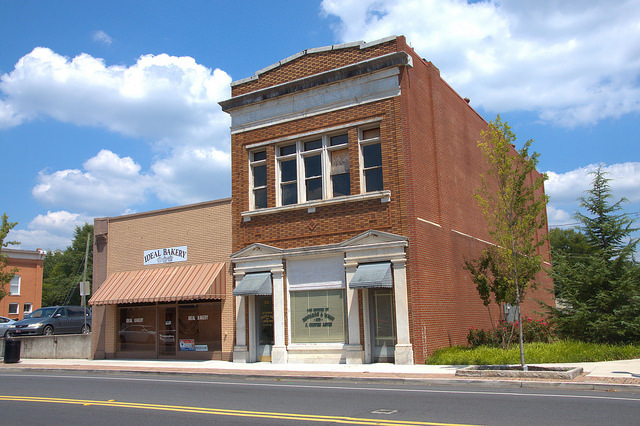 Designed by the architectural firm of Tucker & Howell, it was originally owned by the LAM Amusement Company. 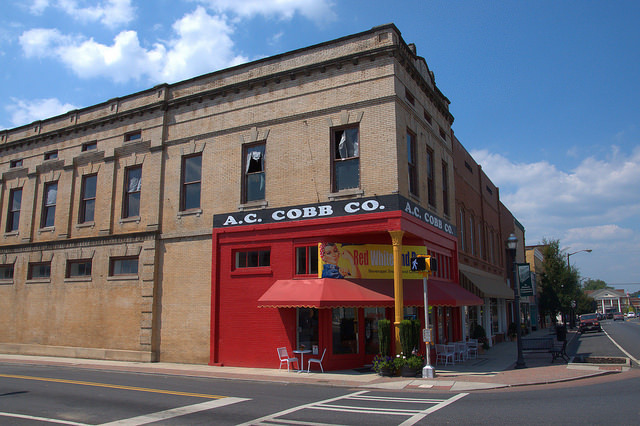 Over the years, it’s been painted in multi-colors and with a black and white theme, but owner Ken Browning told me that the current palette is closest to the original. It shows first-run movies and has recently been digitized. 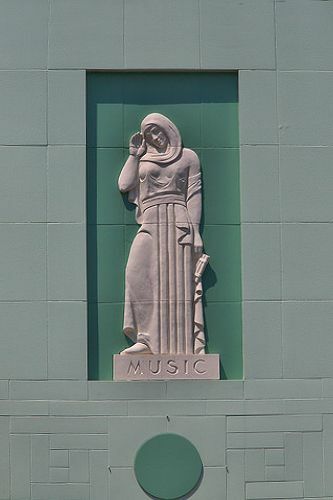 The allegorical reliefs (Drama & Music) flanking the entrance were designed by Georgia sculptor Julian Hoke Harris. 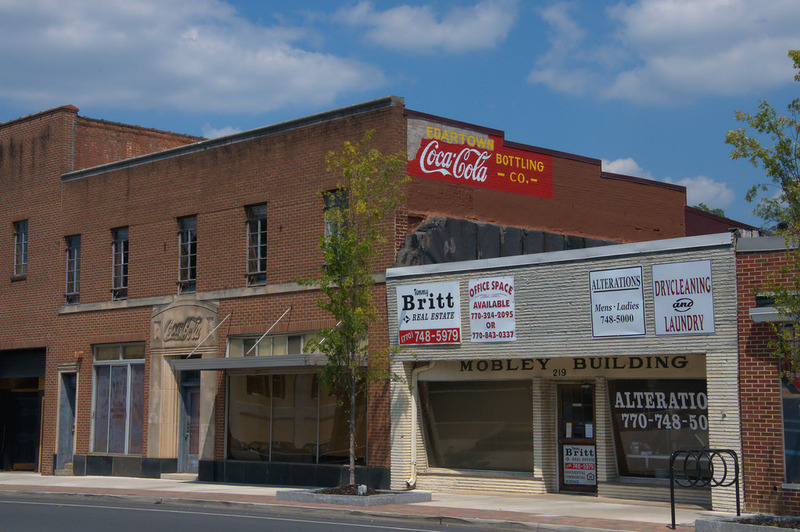 One thing that will immediately get your attention as you drive into Cedartown is the large number of remaining buildings in the downtown area. While many are vacant, they remain intact and are quite an imposing presence. 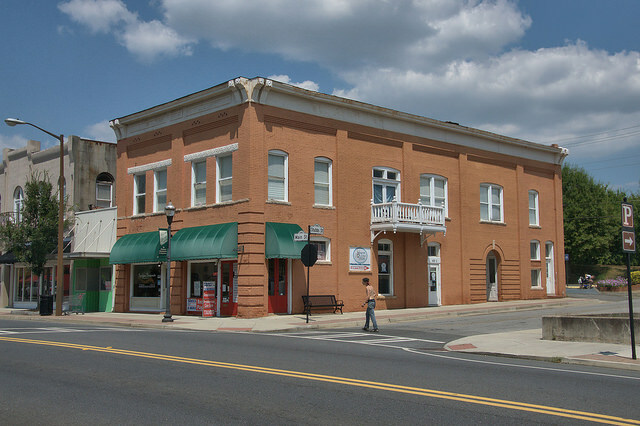 Like any small town, many businesses have moved to the more modern “strip” just outside town, but Cedartown has worked hard to keep these structures freshly painted and relevant. 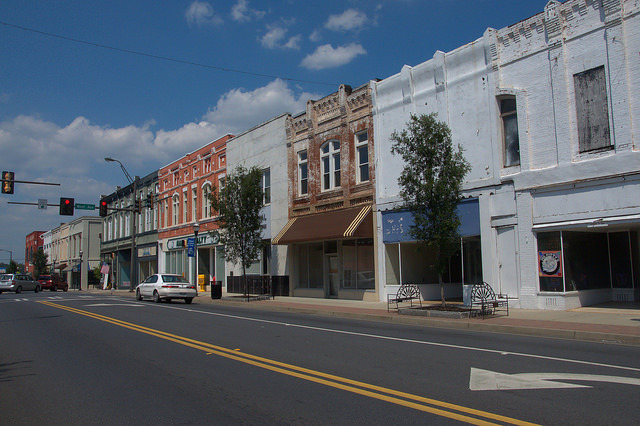 Most of the buildings in this area, the core of the National Register Historic District, date to the early 20th century. 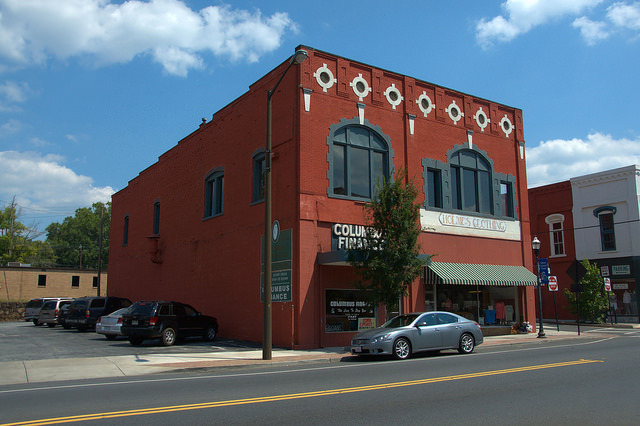 Designed by Otis Clay Poundston and built by the W. P. A. as the Cedartown City Hall, this has also housed the police and fire departments and city auditorium. 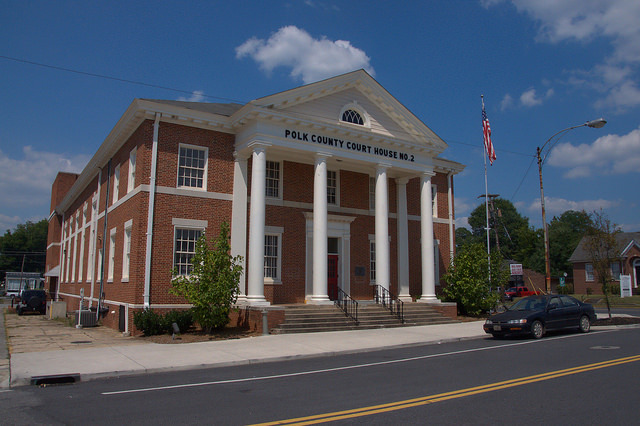 Today, it sits adjacent to Polk County’s main courthouse (built in 1951) and serves as an annex.